Annika Falkengren is a leading figure in the world of banking, having held the position of President and Group Chief Executive of Skandinaviska Enskilda Banken (SEB) since November 2005. Falkengren gained a degree in economics from Stockholm University before joining SEB as a trainee in 1987. She joined SEB’s Trading and Capital Markets division the following year, progressing to become Global Head of Fixed Income in 1995, Global Head of Trading in 1997 and Head of Merchant Banking in 2000. Moving to the Corporate & Institutions division in 2001, she went on to become Deputy Group Chief Executive in 2004. In 2006, Falkengren succeeded Lars H Thunell to become an SEB board member for the first time. In addition to her role at SEB, Falkengren also serves as chairperson of Enskilda Securities AB and director of Ruter Dam. A director of the Mentor Foundation and the IMD Foundation, she has also been director of SEB AG since May 2010. 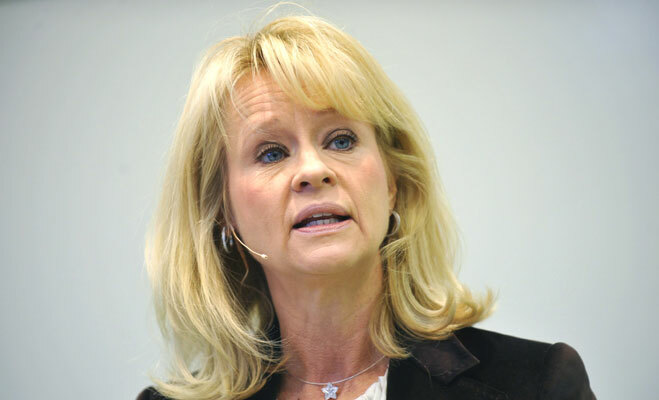 Falkengren’s formidable track record in banking and finance has been embellished by her more recent achievements in other sectors. The Volkswagen Group nominated her to the company’s supervisory board in early 2011. Shortly after gaining board membership with Volkswagen, Falkengren was also nominated to the board of insurance group Munich RE. The Swedish media have enjoyed Falkengren’s personality – portraying her often as a celebrity businesswoman. Named ‘the most powerful woman in Swedish business’ by Swedish business magazine Veckans Affärer in 2005, her popularity within the media was further fuelled by the fact that the birth of her child in 2005 came just months before she gained Chief Executive status at SEB. Her other accolades include being ranked 68th amongst the ‘100 most influential people in European capital markets’ by the Financial News Online. Global business magazine Fortune subsequently ranked Ms Falkengren as the seventh most powerful woman in global business (second most powerful in Europe) in 2008, and the eighth most powerful in 2010. Annika Falkengren’s outstandingly successful career in banking may be attributed in no small part to her propensity to approach banking issues from two distinct angles, that she terms ‘hard factors’ and ‘soft factors’. Hard factors include accurate risk management, strong corporate governance and universal transparency. Soft factors, judged by Falkengren to be gaining in importance in today’s market, include a holistic approach to customers’ needs, excellent customer service provision and the application of a long-term approach in all areas. While it is no exaggeration to say that Annika Falkengren is an iconic figure in the world of business, her place in the spotlight does nothing to detract from her genuine talent, and the wide-ranging abilities that have enabled her to attain the prominent position in her field of expertise that she currently enjoys.